In spite of the tremendous strides that have been made by women in the sporting sphere, gender bias (mostly on the basis of women defying gender norms set by men) persist. Recently, two former WNBA players that have since taken jobs within the NBA, sat down for a roundtable discussion with Hollywood Life to talk women and sports. 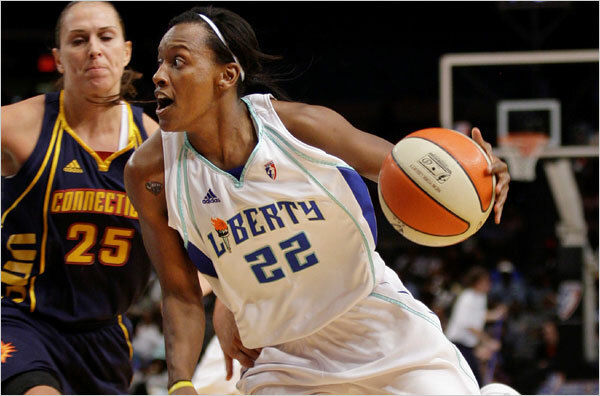 Jamila Wideman is currently the Vice President of Player Development in the NBA and was a former draftee of the Los Angeles Sparks. 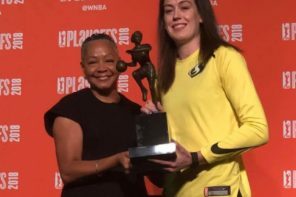 Ashley Battle, this past winter, became a Basketball Operations Associate for the NBA and had a six-year career within the W.
Wideman noted that the conversation around the WNBA is a huge one – and sees it as a metaphor for how women in sports, especially in the United States, are represented. As a culture, we are still working on how to expand the box and figure out how to show the fantastic, fabulous versions of who a woman can be. 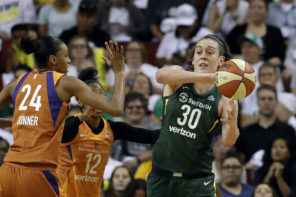 To the extent that the WNBA is pushing that box outwards and upwards, we’re doing our job. We’re part of a larger movement. So, Ashley followed me and there’s a little girl out there that’s following Ashley. And, Ashley’s story is different than mine. Wideman and Battle also mentioned how the NBA looks out for players after they have hung up their jerseys through its Basketball Operations Associate Program – which is under the NBA Career Crossover Program. If there’s anything I would tell current athletes, it would be to leverage your platform! A lot of people want to talk to you and you have the resources at the league that want to hire athletes. So, you have to know these programs are happening and don’t be afraid to reach out, because people want to help. When you really think about it, most of us have played basketball since we’re little kids – it’s all we know, it’s our first love. Then, for it to be like, ‘You don’t have this anymore,’ and you’re in your 30’s or some players that are fortunate enough to play into their 40’s. It’s a difficult transition to have. I’ve been blessed and our players need to know the resources are there to help them.